« DARKEST HOUR – Announce 15 Year Anniversary 2011 European Tour! This entry was posted on October 20, 2010 at 11:06 am and is filed under Album Review, classic rock, classic rock bands, classic rock music, Hard Rock, hard rock albums, hard rock bands, hard rock music, metal odyssey, Music, new wave music, rock and roll news, rock music, rock music news with tags 1980's new wave bands, 1980's rock bands, alternative rock, benjamin orr, classic rock albums, classic rock music, elliot easton, hard rock music, metal odyssey, Music, new wave bands, new wave music, ric ocasek, rock music, rock music reviews, the cars, the cars 1978 album, the cars album review, the cars debut album. You can follow any responses to this entry through the RSS 2.0 feed. You can leave a response, or trackback from your own site. I am not ashamed to say that I am still a fan of The Cars. Too bad Ric Ocasek disappeared off of the face of the earth. I am not a fan of the Cars at all but I do like the fact that you have a diverse taste in music. I love a lot of CAR’s songs but not albums. I think I might have had this on 8-track too. If not, their 2nd one for sure. They always had a handful of catchy pop tunes mixed with a bunch of sub-par material IMO. *I would recommend a “Best Of” or “Greatest Hits” collection. I consider these guys New Wave, but I also plop them into the Classic Rock category, mostly for this album, but Candy-O and Sake It Up are pretty good, but to answer your question, Van Halen’s whole freakign debut gets a ton of radio airplay here, all 11 songs, and def Leppard’s Hyteria has 7 songs I can name I have heard on the radio, Women, Animal, Love Bites, Rocket, Pour Some Sugar On Me, Armageddon It, and Hysteria all made it. You are correct with Van Halen “l” and “Hysteria”, both albums are monumental. I just don’t see a new debut album from a Hard Rock or Heavy Metal band in “2010” with so many songs on the radio. Maybe it is unfair of me to pose this question for a “2010” debut album for this is a different era altogether. Back in the 70’s and 80’s, Rock, Hard Rock and Heavy Metal ruled the FM airwaves. (Satellite Radio now helps the cause). We live during a day and age where lip syncing, boy bands, Disney bands and lightweight Rock “ballad” bands get pushed on the listening public. All that crap did exist decades ago too, only not to the level it is now. The “shelf life” of this garbage that makes the charts these days seems to be lasting longer than it did 15 and 25 years ago. im glad you didnt try to relate there debut album to pop music like alot of people like to do as shown in the above comments. i agree this album is peer new wave/rock. to bad after panorama they went all goofy pop on there rock fans and rarely could have a new wave rock song without pop or poprock backing it up. even though of that dissapointment, they still used enough rock to be called a rock band. there debut album is solid rock, and so is candy O in a sense “limited exceptions for lets go”. I think that “MTV Age” of the 80’s lured many bands into writing songs that probably never would have been written… if not for the insane commercial exposure that network had on fans of all Rock genres then. It’s just my own theory. i did like your post though, infact i liked it so much i even book marked it 🙂 ive always been a hard rock/heavy metal fan and when i hurd my dad jam bye bye love, i fell in love… it changed my life, it gave me a whole new look at music. it gave me a new passion… kinda shocked me how there not in the rock hof, they were the kings of the 80’s synth based rock and pop. and on top of that there guitarist elliot easton practically labeled 80’s new wave rock. well take care man. Thanks Nate! I’ve written time and again about my aggravation for the “political good ‘ol boys club” that is The Rock And Roll Hall of Fame. The list is huge when it comes to legendary bands that have been snubbed by that “establishment”. Cheap Trick, KISS, Doobie Brothers, Mott The Hoople, Budgie, The Moody Blues, Boz Scaggs, Heart… (phew), the list is long as I said! – Rock Steady and Always Be Ready To Rock! but where do the cars come along.. there is so much talk about there genre, they’ve been labeled pop, new wave, poprock and worst of all powerpop… just because they happen to use some catchy guitar and synth lines people think there powerpop. I just think there rock but i cant get over how much pop they used in there later albums….but the good thing is that they have reunited as of 2010/11, and i heard a snip of there first 2 songs on the album, they have some heavy guitar riffs that sound very 80’s revival. New Wave to me, is an extremely legitimate and important sub-genre to Rock Music. Yes, Punk Rock can be called “the big brother” to New Wave, for New Wave realistically spawned from Punk Rock. (Just look at the legendary Blondie). With tons of synths and the electronic “sounds” popping up all over New Waves music, the experimental creature that was/is New Wave in essence attached itself to those colorful 80’s (and very late 70’s). Vocals of New Wave had it’s fine line of “Punkiness” yet not entirely Punk. Where Punk Rock was not a legion of bands aiming to be played on “America’s Top 40” way back then, New Wave bands seemed to lean towards getting one, two or three singles on FM’s mainstream. 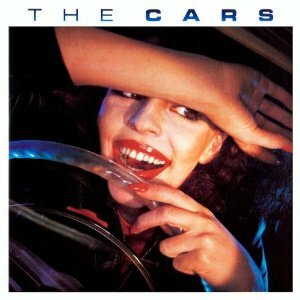 At the end of the day, The Cars will always be a legendary Rock Band to me, that played a variety of styles without losing their “signature” sound. What New Wave has spawned, through the decades, are the sub-genres known as Alternative and Indie Rock. Of course, this blabbing is all my own Metal opinion… I just see and hear New Wave this way then and now. I honestly like New Wave, not every band though. With many New Wave bands, I only liked say, one or two songs from a respective album. That’s very cool if The Cars do reunite. Of course, it would never be the same without Benjamin Orr. Still, the surviving members should have a lot of Rock ‘N’ Roll left in their tanks. Maybe something i should of added in my other comment, what is power pop?? I mean wouldn’t it be exactly like pop rock?? Catchy melodic vocals with guitar heavy riffs, whats the difference?? I ask this because The Cars have been labeled this genre before, and i question it. The genre has also been labeled to The Cars song just what i needed and countless others, but i think it’s just cranky pop fans who have a habit of calling bands that use pop friendly lyrics with rock friendly guitar riffs power pop. Like their punk brethren, late–1970s power pop groups favored a leaner and punchier sound than their early–1970s predecessors. Some occasionally incorporated synthesizers into their music, though not to the same degree as did their new wave counterparts. Representative singles from the period include releases from the Bomp! Records label by 20/20 (“Giving It All”), Shoes (“Tomorrow Night”) and The Romantics (“Tell It to Carrie”). Major label groups like Cheap Trick, The Cars and Blondie merged power pop influences with other styles and achieved their first mainstream success with albums released in 1978.
which i somehow disagree with in some ways. melodious terensons of power pop?? I think this guy has been listening to just what i needed or magic too many times..or blondie ? i know if your a acdc or metallica, judas priest, megadeth etc fan (like myself), then the first genre you think of when you listen to this album is classic rock. Yeah… it’s easy to “stereotype” any band into whatever one may “think” they are, stylistically. If someone only listened to Metallica’s “Load” and “ReLOAD” without ever listening to their first four albums, then they would instantly label them: Hard Rock with “flashes” of Heavy Metal. You are right, it depends many times on a respective bands album and how often they diverted their “sound”. Agreed, I guess if you consider ocasek’s supreme pop sensibilities in his songs and eastons rock friendly guitar licks, riffs and solos, then maybe powerpop plays a factor. I guess i just want to hear it from the band themselves. Ocasek said in there last interview in june of 2000 (a couple of months before benjamin orr died) that “i quote”, “we were a good…pop..band” in kind of a studderish overthinking way, so i dont know what the hell to think. From a long time of studying though, i learned that they at first were planning to be a “full-throttle rock band” according to greg hawkes (keyboardist).. he also said “but it became more of a artier thing”……what, art rock? what the hell does that mean?? Very very much confusion with there genre, i see people from one side of the internet saying there a pop band, and another saying there new wave, then another saying rock, then finally, powerpop…?? Well Nate, the best way to sum up The Cars is to say they were as “diverse” as any other Rock band in the history of Rock. The Cars took on a glow of uniqueness that really cannot be matched to this day. It’s like Pink Floyd… what can we really call them? Progressive, Rock, Hard Rock and “Alternative” to a degree for their time. Psychedelic? I’ve heard Pink Floyd get that label too. Just about everyone who knows the music of Krokus will call them Heavy Metal or Hard Rock. Yet, when I interviewed Marc Storace, (lead vocalist for Krokus), he was adamant about Krokus being called a “Hard Rock Band” and not a Heavy Metal Band. So, I understand your wanting to hear it “straight from the horses mouth” so to speak… and have a member of The Cars come out in 2011 and state what they feel their “sound” should be labeled as. Musicians are “artists” so often times they will refer to their sound and/or style as a representation of their “art”. Don’t let the “art” word bother you when it comes to music… it’s never been a word that has “watered down” any band or album for me! So have you been busy? Because you haven’t posted a comment on your website for over a month as far as I’m concerned. take care! Nice review. I couldn’t think of a better way of summing up there genre. Rock and roll would never be New Wave without The Cars in my opinion. They were walking a fine, especially on there first 2 albums.